Meet the juicer you need in your kitchen! 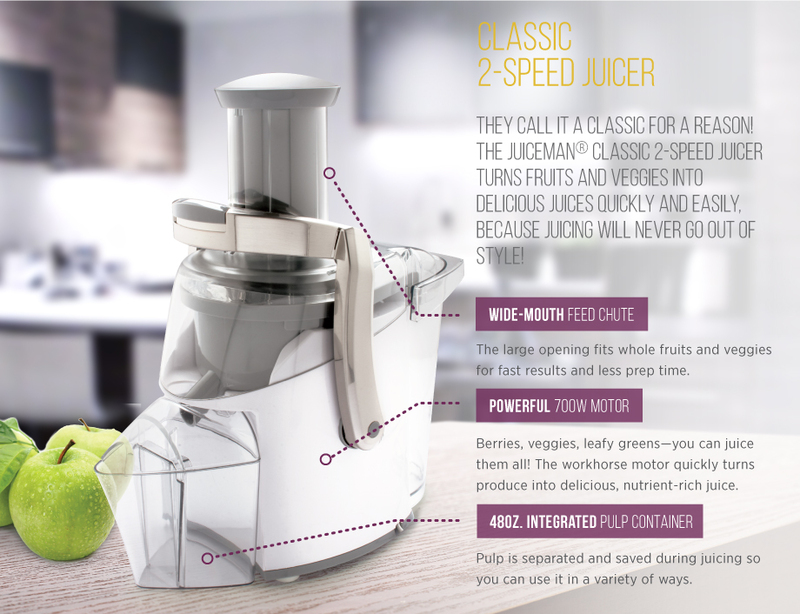 The Juiceman® Classic 2-Speed Juicer makes it easy to turn a variety of produce into delicious, nutrition-rich juice that you'll look forward to having! 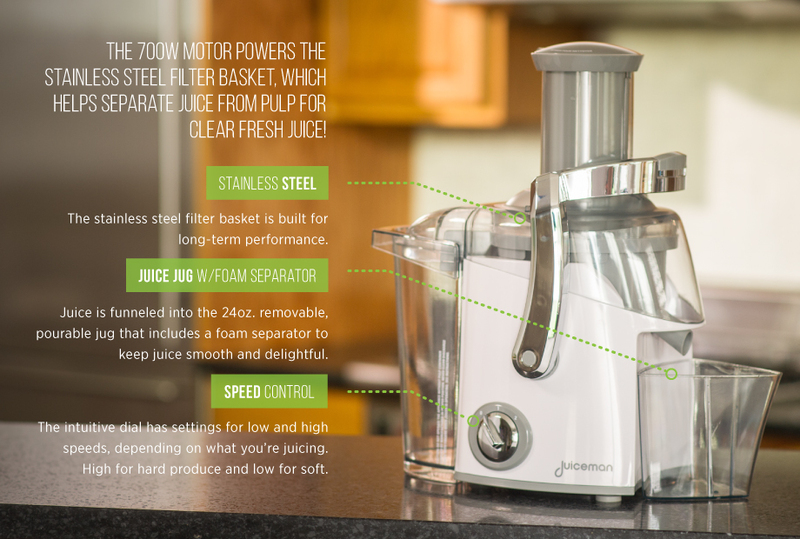 The 700W motor powers the stainless steel filter basket, which help separate juice from pulp for ultra-drinkable results. Juice is collected in the removable 24oz. jug with foam separator, making juice easy to pour, serve, and enjoy. Pulp is collected in the 48oz. removable container, preserving it for use in smoothies, baked goods, and garden composts. Plus, check out the included recipes for tasty new ways to get your daily serving of fruits and vegetables! Juice is funneled into the 24oz. removable, pourable jug that includes a foam separator to keep juice smooth and delightful. The stainless steel filter basket is built for long-term performance. It quickly extracts juice and funnels it through the spout while separating the pulp.